Living a healthy lifestyle has always been important to me. Not only do I feel my best when I put the right foods into my body, but I'm able to be the best mom I can be. I prefer to eat many smaller meals + a few snacks throughout the day because it keeps my energy levels up, and I'm always looking for healthy snacks at the store for both me and Camden that can be eaten on the go. I love my snacks, and so does my little man! Cam has always been obsessed with Cheerios so I was really excited to try the new Ancient Grains +Multi Grain Cheerios from Sams Club. Unlike other cereals that are packed with sugar, it only has 5 grams of sugar, is low fat, and has 12 vitamins and minerals. It's packed with ancient grains like KAMUT wheat, spelt, and quinoa which gives a nice crunch and is really tasty. I love that with the ancient grains it provides a special twist from the classic Cheerios I've eaten and bought for years and makes a better for us option with MORE to love! One of the other reasons why we go through boxes of them is because of how many different ways you can enjoy them. 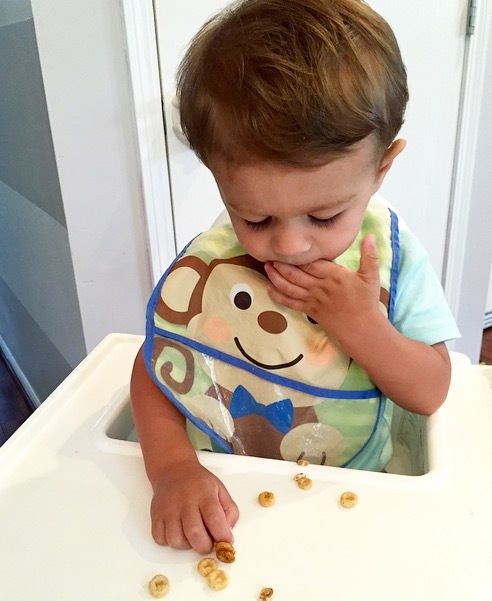 Cam likes to eat them plain as a snack (when on the go I keep a bag full in his lunchbox or in my diaper bag! ), but just recently he's been more interested in eating it with milk for breakfast so I'm sure this will be cereal I reach for the most in the mornings to feed him. For me, I like to add the Ancient Grains Cheerios in my smoothies (if you haven't tried this yet-you need to! Gives smoothies an extra oomph) or as a topping on my greek yogurt. Some days I just don't have a lot of time so having a healthy snack that works for the both of us is exactly what I need! Not to mention, it keeps us feeling full and satisfied! Make sure to check it out at your local Sams Club! You get 2 large bags in ONE box, which means less trips to stock back up and I think that makes everyone happy, right? Tell me, what are your kids favorite snacks, or snacks that you love to take when on the go?! 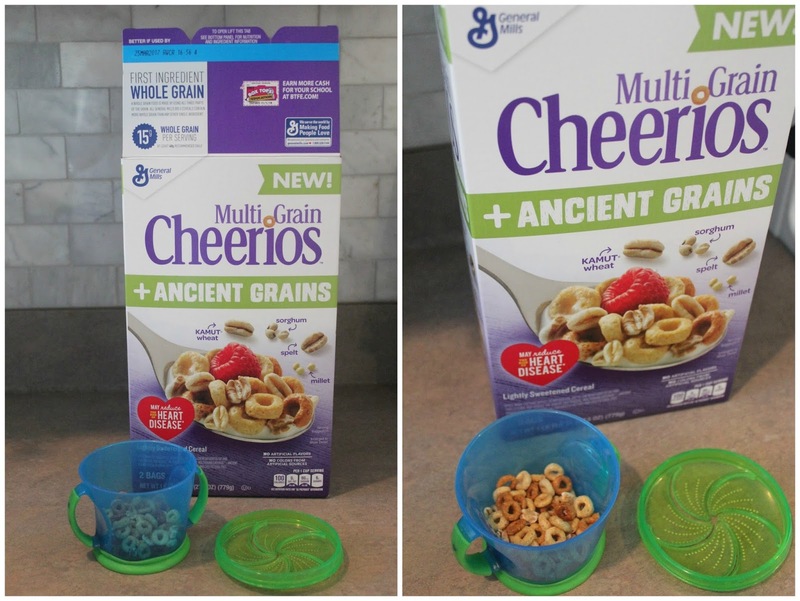 Have you tried Ancient Grains + Multi Grain Cheerios yet?